A stunning bouquet of 12 pink roses with some eucalyptus and other seasonal foliage. 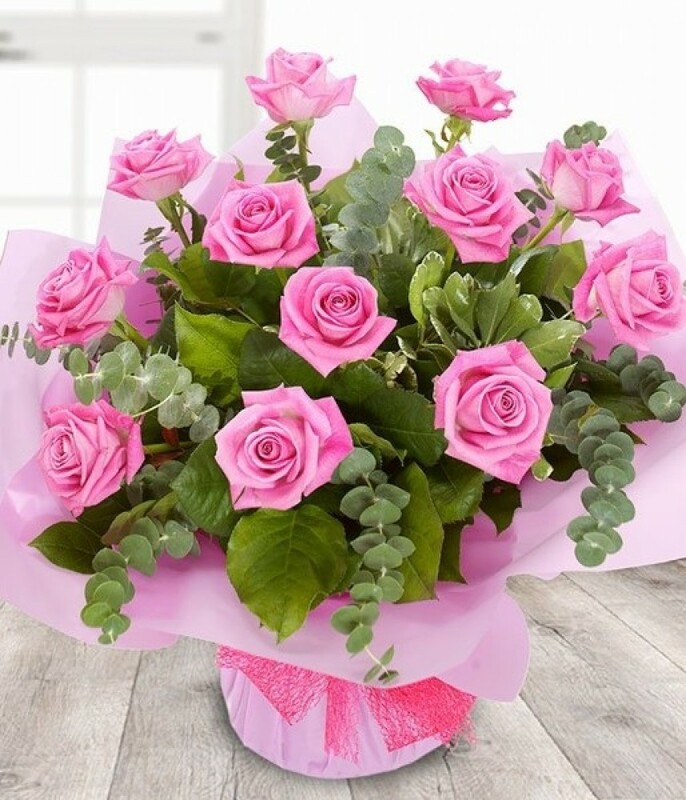 Created by our experienced florists this lovely bouquet will surely be a winner. Aqua packed for freshness and presented in a bag/box.